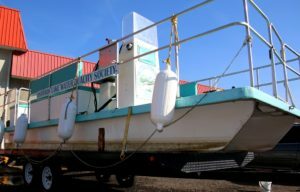 The Osoyoos Lake Water Quality Society’s pontoon boat that conducts a number of tests on lake water while also hunting for Zebra and Quagga mussels received its final cleanup for 2018. The wash ‘n shine crew included (l-r) Captain Birgit Arnstein and deck hands Clem Jones and Iain Fraser. 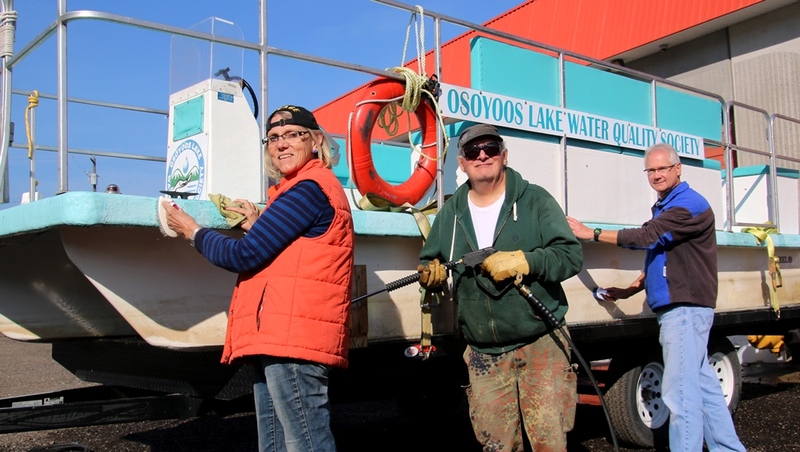 OLWQS also acknowledges the kindness of CJ Rhodes of RnR Rentals for the use of their power washer, and a very big thanks to Jim Dinwoodie and Casey Brower and the Town of Osoyoos maintenance staff for their help and support. It’s always comforting to have great neighbours to lend a helping hand!